The leaves are falling, and winter is approaching! With all the leaves fallen, your property may be looking a little shabby around this time of year. Prepare for the winter by scheduling your fall clean up with Clean Slate Landscape & Property Management, LLC. Since 2000, Clean Slate Landscape & Property Management, LLC has been providing fall clean up services to residents and business owners. Why is fall clean up important? Couple of reasons. 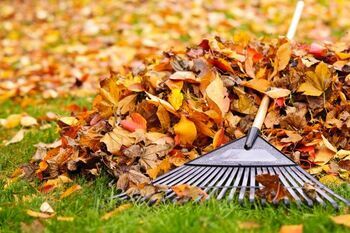 First, if fall clean up is neglected, it's difficult in early spring to get your yard back in shape and looking fantastic for when it really counts. Secondly, if the leaves and debris remain on the ground through the winter, they'll make a perfect breeding ground for mold and fungi. Not only will the yard look dingy and neglected, but it could become a health hazard as well. By calling the professionals in fall clean up services, you'll be sure to have a pristine, landscaped yard in the spring. Call (508) 669-7959 for your free estimate today.